How Much Does a DUI Cost in South Carolina? As DUI defense lawyers in Charleston, we’re often asked how much it costs if you’re charged with a DUI. We recently saw some billboards around that had a picture of a State Trooper holding a breathalyzer up to a person being arrested for DUI. The billboard read: “You Just Blew $10,000.” It is not an exaggeration. Driving after drinking, even in cases where you felt ok to drive, can cost a lot of money. Also, if you have a car accident that is not your fault, but you had even a couple of drinks, you can be charged with felony DUI and possibly spend years in jail. Arrange for a designated driver, call a cab, or get a hotel room. These options can help you in the wallet, and they can save a life. If you’re charged with driving under the influence (DUI), there are numerous costs that you will have to incur, some of which affect you even if you’re found not guilty. First, the court will hold a bond hearing. Some people get “PR bonds,” which means they don’t have to pay money to get out. Some receive “surety bonds,” which means they do have to pay money to get out. If your bond is $1,000, you may end up paying around 10% of that, or $100, to a bondsman. Unless you were arrested in your driveway, the police will probably impounded your car. The fee to the towing company varies, but it can easily be $150 when you try to get your car out. For every extra day it is left there, the cost goes up. You may have refused to blow into the breathalyzer, which results in your license being suspended. You may challenge this suspension, but it will cost you $200 to file for the “implied consent hearing.” You will also obtain a Temporary Alcohol License while you wait on the hearing, which costs $100, and then when you finally get your license back, it will cost another $100. Also, if you do blow and the reading 0.15 or higher, then you’ll have to deal with a suspension and possible implied consent hearing as well. If you lose the implied consent hearing, or if you’re ultimately convicted of DUI or driving with an unlawful alcohol content (DUAC), then you’ll have to enroll in and complete the Alcohol and Drug Safety Action Program (ADSAP). This program costs around $500. Some DUI’s end up with the person pleading guilty to reckless driving in exchange for a dismissal of the DUI. The fine for reckless driving is $445 and will likely cause your insurance rates to increase. If convicted of DUI, and you refused the breathalyzer, if you don’t receive jail time, the fine will $997. The fine goes up if you blew a 0.10 or greater. If it is a DUI 2nd offense, the fine is between $2,100 and $5,100. If it is a third offense or greater, the fine keeps going up. If you’re convicted of DUI, you will have to carry SR-22 driving insurance for three years. The cost of SR-22 varies from insurance company to insurance company and from driver to driver, so you will likely call around and get several quotes to pick the cheapest one. Be prepared for SR-22 to increase your rates at least $100 per month, which comes out to $3,600 over the three years. You may wish to fight the DUI, which will result in you calling around to different law offices to pick the best lawyer for you. In South Carolina, you will generally hear of attorney’s fee ranging from $2,500 to $7,000, but there are some even cheaper or more expensive depending on your lawyer’s experience. As we wrote in this article, beware of “el cheapo” legal services! Also, there may be costs involved in your case for numerous reasons. Your lawyer may want to order your official driving record, which costs $25. Your lawyer may advise you that it would be beneficial to hire an expert witness of some sort to testify on your behalf. An expert can cost over $5000. On top of all of this, even if you didn’t lose your job or cost you a promotion, you likely at least had to take some time off of work to go to court and lost some wages as a result. 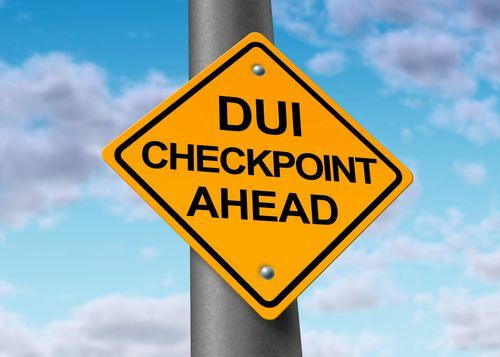 IIf you are charged with DUI in Charleston, contact the lawyers at Futeral & Nelson. We will keep your finances, your job, your piece of mind, and your life in consideration throughout our representation of you.